There is no greater pressure on the charitable and not-for-profit sector than at Christmas, but Good360 is successfully alleviating this stress on the sector whilst spreading good cheer, in the form of more than 400,000 products, thanks to new donor partner, BIG W.
The alliance between the major retailer BIG W and the pioneering not for profit Good360 could not have been better timed for Australians living below the poverty line, experiencing homelessness or part of the disturbingly increasing cohort known as the working poor. “We’re delighted to welcome BIG W to Good360 as a donor partner, and we hope their generosity will inspire other retailers to get involved. By connecting retailers’ and manufacturers’ excess, obsolete and end-of-line consumer goods with the people who need them the most, we’re finding tangible solutions for the issues facing both business and Australians doing it tough,” Good360 founder and managing director Alison Covington said. Good360 is aiding the community, and the environment as well as business, BIG W managing director, David Walker affirmed the mutually beneficial alliance. “Partnering with Good360 is a perfect match with what BIG W has to offer,” Walker said. 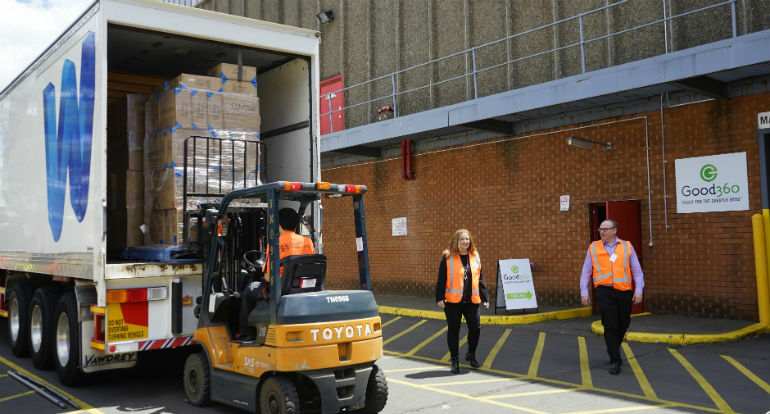 Thanks to a highly successful fundraising campaign last year, attracting $100,000 in donations, Good360 offered free Australia-wide shipping and handling to its member charities for Christmas 2016, facilitating the distribution of product from their warehouse, into homes and under Christmas trees when finances were stretched to breaking point. Good360 is once again offering existing and new member charities $400 worth of free shipping and handling – which will give the charity approximately $4,000 worth of goods delivered to their door at zero cost, or $800 worth of Click & Collect which would mean the charity could pick up $16,000 worth of goods from the Smithfield warehouse before the Christmas rush in December. With the goal of making the process as quick and easy for charities as possible, and making maximum impact, more than 13,000 goodie bags have also been pre-packed across categories including babies, children, men, women and teenagers. With December fast approaching, it’s not too late for retailers to join Good360 in making this Christmas an occasion for all Australians to celebrate, no matter their financial circumstance. 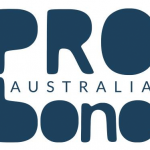 Partnership opportunities are available to join the ranks of Australian business demonstrating their corporate social responsibility by donating retail product including 3M, L’Oréal, Winc (formerly Staples), Qantas, Moose Toys, LUSH and many others. “Good for Australians in need, as well as good for BIG W, the innovative team at Good360 have a reach of more than 500 charities and rising. There is no better time for charities and NFP’s to come onboard and not only access product for Christmas but also in readiness for the back to school rush in early 2018,” Covington said. The annual registration fee of $250 (+ GST) provides access to the ecommerce store and members can choose to have the goods delivered for a nominal shipping and handling fee, or pick them up from Good360’s warehouse in Smithfield, NSW. You don’t have to be a product donor or a registered NFP or charity to #makegoodhappen. Individuals can also support by either donating time or money by visiting the Donate Time or Donate $ tabs on the Good360 website. Good360 is aiming to smash the success of last year’s campaign. This injection of product from BIG W should guarantee we reach, if not exceed, the target to supply $5 million of new goods to Australians in need as part of the NFP’s #makegoodhappen Christmas 2017 campaign. For more information or to get involved visit www.good360.org.au or call (02) 8594 3600 and chat to our Giving Team. To find out more about the Christmas campaign click here.